UFC 206 was in some real trouble. The loss of the Daniel Cormier/Anthony Johnson main event made it seem like the event would be less than stellar. When Anthony Pettis and a number of other fighters missed weight the day before the event it seemed like UFC 206 was doomed (more on that later). But after all was said and done the show ended up being one of the more exciting events of the year, namely for some featherweight action at the top of the card. The battle between Donald Cerrone and Matt Brown was one of grit, heart, and skill. Both men traded blows, both men hurt the other, and yet both men still came back for more. It was a display of what two elite level martial artists can accomplish in the cage if they just keep pushing forward. The bout was punctuated by a thrilling head kick knock out suffered by Brown and brilliantly set up by Cerrone. It was emphatic and announced to all the elite welterweights in the division that Cerrone is here to stay at 170 lbs. 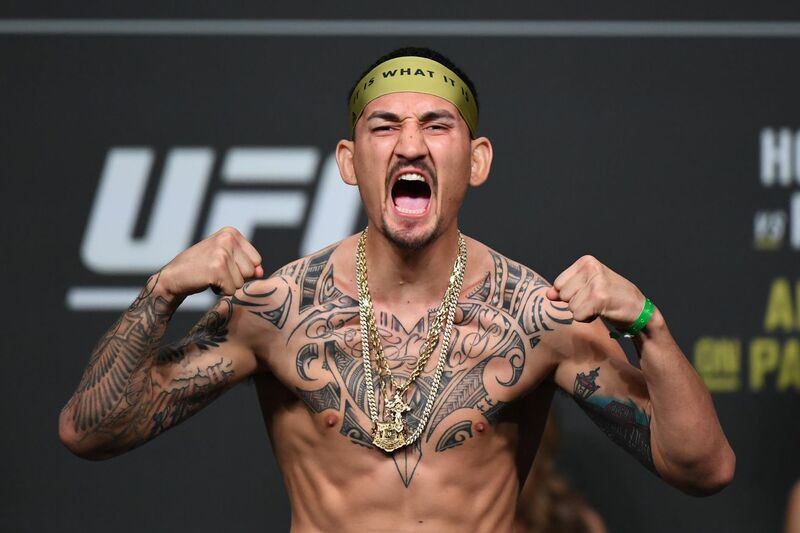 The main event was also a great display of technical ability as Max Holloway and Anthony Pettis stood toe to toe trying to figure out riddle of each others styles. It made for a pretty intriguing striking battle in which both men utilized their full range of skills. It’s just unfortunate that Pettis hurt his right hand in the beginning of the fight because things were shaping up to be pretty exciting. If Pettis can find a way to make the weight at featherweight then a rematch between the two is a fight that no one would be arguing against seeing. If not, then at least we were able to see the two clash in a technical main event. But the main and co-main event aren’t the fights that everyone has been talking about. The real show stealer at UFC 206 was clearly Cub Swanson versus Doo Ho Choi. While Choi looked strong early it was Swanson who would eventually take over and land some hellacious shots on the “Korean Superboy” nearly ending the fight on several occasions. But Choi landed some heavy leather of his own and showed that he wasn’t deterred to having a good old fashioned slugfest. The biggest take away for me in this fight was the chin and the heart of Doo Ho Choi. Like Max Holloway before him, Choi lost and lost emphatically. But this experience is likely to make him an even better fighter. Going through a war like that can sometimes show you what you’re made of and if it didn’t break Choi, it’s likely that it’s sparked a fire within him instead. In the coming years look for Doo Ho Choi to become a real monster in the featherweight division. What was your favorite fight at UFC 206? The post Fallout: UFC 206 Delivers On Battles For The Ages appeared first on Cagepotato. Not every fighter is keen on discussing their professional and personal lives in front of the camera. I guess that’s what makes Conor McGregor such a special force when it comes to entertaining fans and media alike. But for other Ultimate Fighting Championship (UFC) combatants, specifically Uriah Hall, who will challenge Gegard Mousasi later today (Sat., Nov. 19, 2016) at UFC Fight Night 99 from Belfast, Ireland, talking into a microphone is the worst job of all time. Hall, 32, has lost two in a row since defeating Mousasi via knockout in their original meeting back at UFC Fight Night 75. With a lot at stake in the rematch, “Prime Time” would rather focus on other things than taking advantage of his UFC limelight. As aggressive as Hall is towards the media, the kid undoubtedly sports world-class talent inside of the cage. He’s been expected to breakout and contend for the middleweight strap for years, but always seems to encounter hiccups along the way. Another victory over a proven contender like Mousasi at UFC Fight Night 99 may be the one victory Hall needs to prove he belongs. MMAmania.com will deliver LIVE round-by-round, blow-by-blow coverage of the entire UFC Fight Night 99 fight card below, starting with the UFC Fight Pass “Prelims” matches online, which are scheduled to begin at 12 p.m. ET, before the UFC Fight Pass main card start time at 3 p.m. ET.